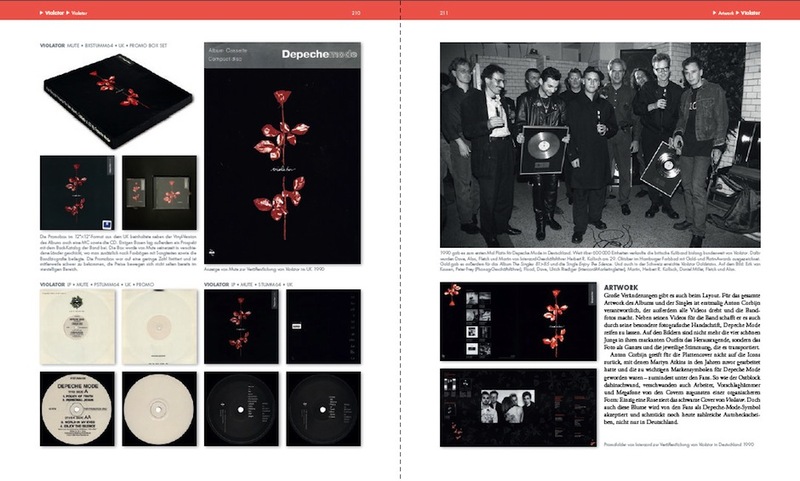 In this preview of Depeche Mode: Monument we take a look inside the covers of the new Depeche Mode fan monograph by Sascha Lange and Dennis Burmeister. Burmeister’s own collection, of course, forms the basis of the Depeche Mode Fan Exhibition taking place on fan4fan.com and Zagreb, Budapest, Bratislava and Berlin. Few bands have careers which can stand up to thorough documentation, but Depeche Mode are surely one of them. From their early synth pop juvenilia through the leather industrial phase, the Violator imperial age and, of course, the current incarnation as stadium rock stars, the Mode have one of the more nuanced trajectories in pop and rock music. What’s more, their devoted fan base follows them every step of the way. In recognition of this unique band-fan relationship, a 420-page book has been published which collects rare artefacts, never-before-seen photos, interviews and memorabilia telling the story of the band’s unprecedented success through the completist’s favorite medium: the details. 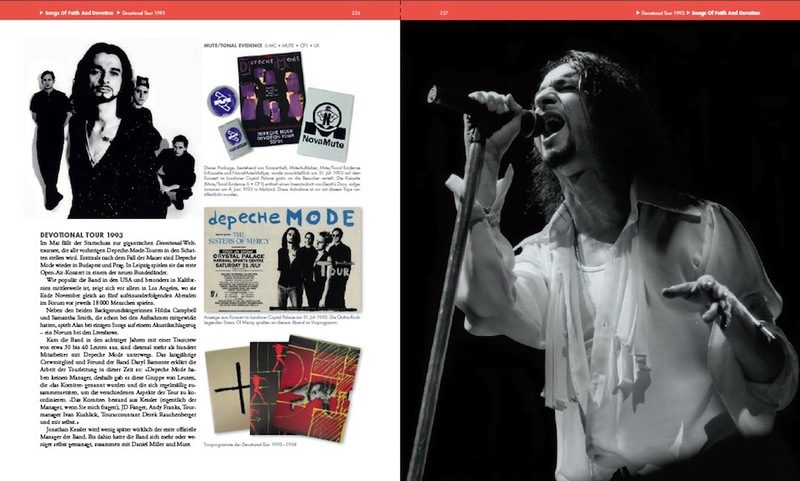 Entitled Depeche Mode: Monument, it’s a completist’s dream—it should be, its written by journalist Sascha Lange and Dennis Burmeister, the collector who had a crucial hand in bringing together the Electronic Beats Depeche Mode Fan Exhibition. To celebrate the book’s release, we’re giving you a exclusive look inside the weighty hardback covers. Basildon, Depeche Mode’s Essex hometown, in 1981. 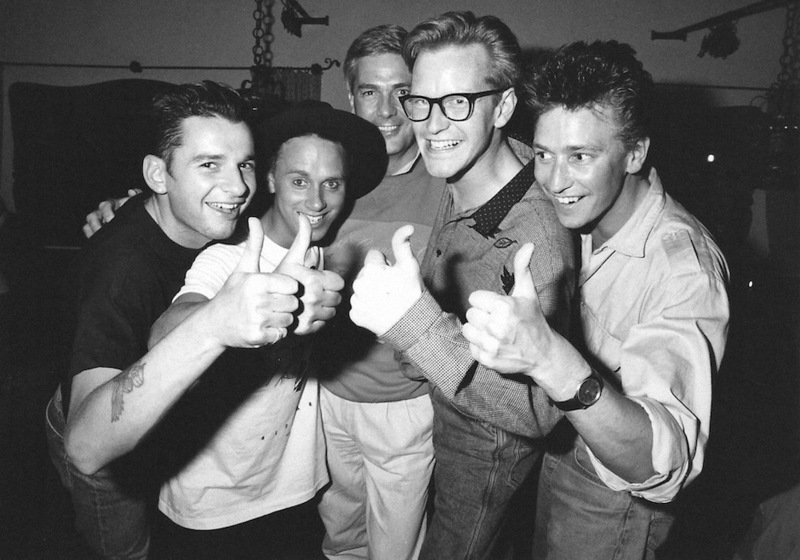 The band and Herbert R. Kollisch, head of German label Intercord, in 1987. 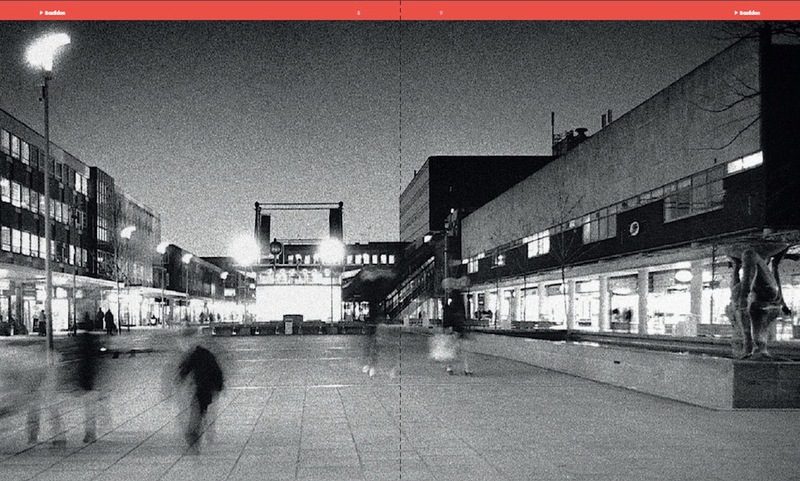 Photographs from the era of Construction Time Again. 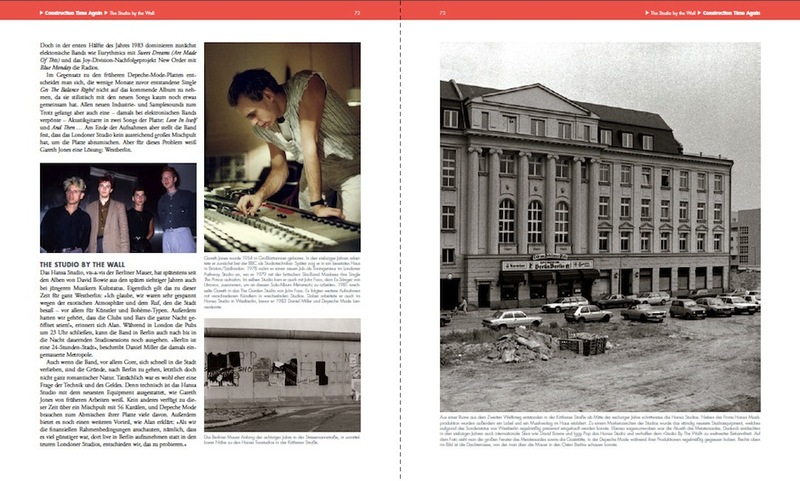 Left page shows the legendary Hansa Studios. Promo boxes and artwork for their 1990 album Violator. The right page shows the band collecting gold and platinum awards from Intercord director Herbert R. Kollisch in October 1990. Flyers, posters and tour programmes from 1993’s Devotional Tour, as part of the campaign for Songs of Faith and Devotion. Right page shows Dave Gahan in full flight. 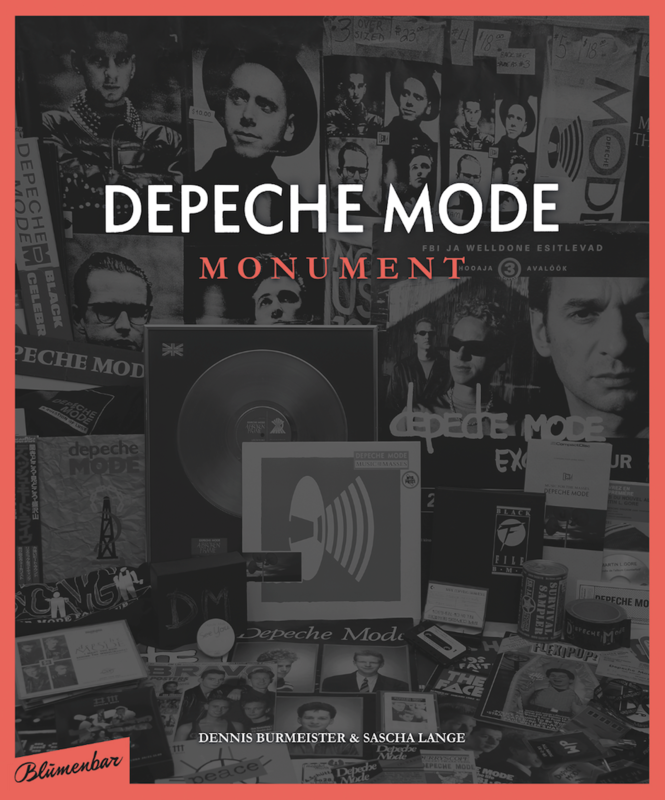 Depeche Mode: Monument is published by Blumenbar/Aufbau-Verlag and is out now. Order your copy here.